If your off-road vehicle is in need of high angle approach and more tire clearance, then an N-Fab RSP prerunner front bumper could be just the thing you're looking for! These full front bumpers are designed for off-road use and will give any truck a unique new look. N-Fab bumpers are made from heavy duty steel and tubing that has .095" thick side walls. In addition, a fully welded construction process is utilized to increase the strength and longevity. 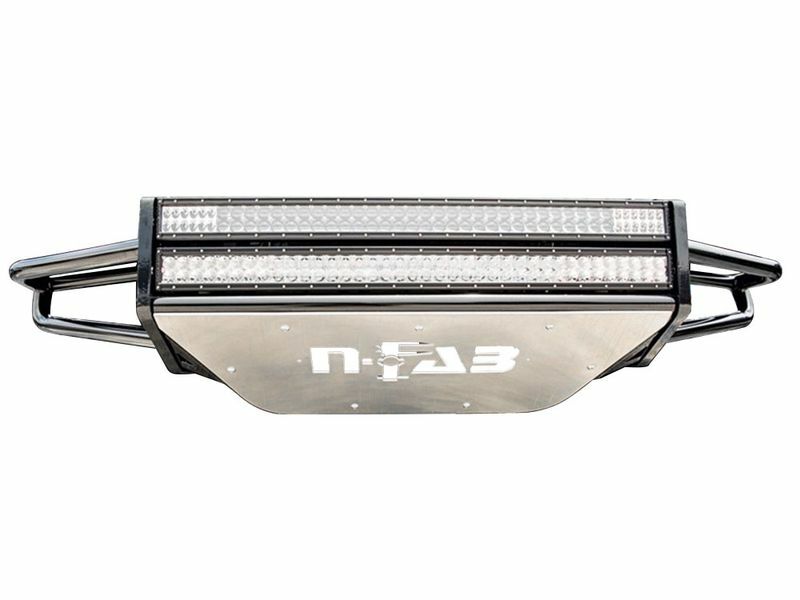 These off-road bumpers are designed with mounts for up to four 9" lights or 38" Rigid E-Series LED light bars. Each bumper will also have a skid plate attached for additional protection. The skid plate is made from 3/16" aluminum. The made in the USA quality doesn't stop there either. These N-Fab bumpers are available in gloss or textured black and will keep your N-Fab bumper looking great for years. Since each bumper is designed to mount directly to the factory bumper mounts on the frame horns, the N-Fab bumper will not flex and the installation will be easy to get done. It is time to turn your everyday driver into the off-road monster you have always dreamed about, with a custom made N-Fab RSP prerunner front bumper.